The Chihuahuan desert is the second largest in North America and its northern, or United States, portion occupies southeastern Arizona, southern New Mexico, and Texas west of the Pecos River. Hot, dry, and windy, the desert is home to a unique community of plants that have adapted to its harsh environment. 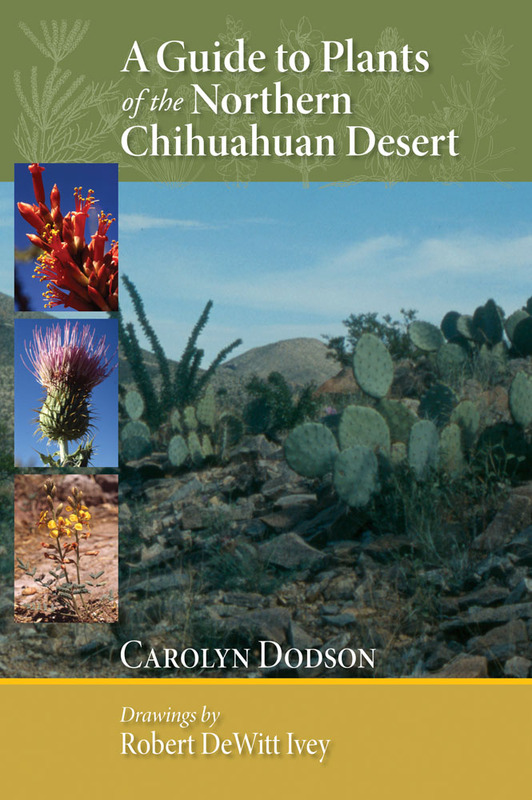 Visitors to the area will find this volume a practical identification guide, offering descriptions of seventy-five representative species of northern Chihuahuan Desert plants. Each illustrated profile includes the plant's common and Latin name and a brief description, as well as its role in human history, its relationship to the surrounding flora and fauna, medicinal uses, nutritional value, habitat, toxicity, and other interesting facts. Education Division for twenty-five years. She coauthored Central New Mexico Gardens (with the Native Plant Society) and Mountain Wildflowers of the Southern Rockies (with William W. Dunmire). Robert DeWitt Ivey is an eminent New Mexico botanist and author of the acclaimed Flowering Plants of New Mexico.